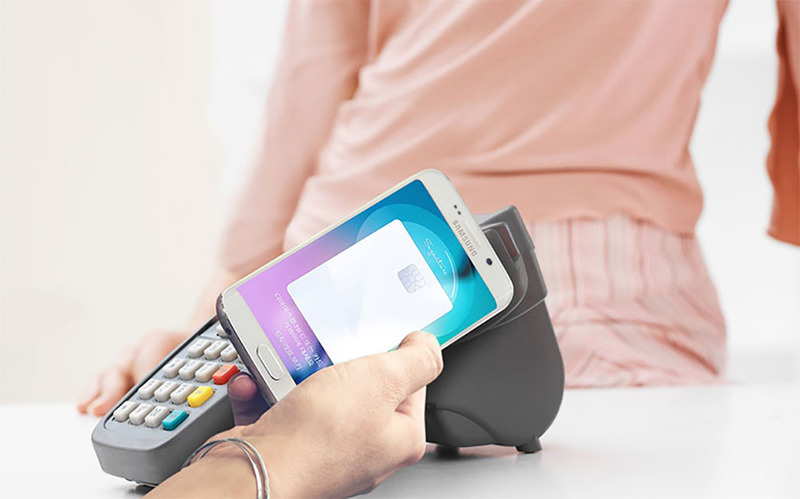 Samsung Pay, arguably one of the most noteworthy features of the Galaxy S6 and S6 Edge because of its ability to make payments at both NFC and traditional credit card terminals, is getting ready for prime time. Samsung kicked off a trial for select customers in Korea yesterday in preparation for the payment service’s full rollout to countries like the US. When the S6 and S6 Edge were announced, the early word was that Samsung would try to launch Samsung Pay in July (which technically they have done). Rumors since have suggested that Samsung pushed back Pay’s rollout to September as an opportunity to pair it with the launch of the Galaxy Note 5. September made sense if there was going to be a delay, since Samsung often debuts their new Note device for the year in early September. With that said, new rumors have hinted at a possible mid-August unveiling for the Note 5, so that Samsung can get its new Note out before Apple has a chance to announced new iPhones for the year. If Samsung is opening up a trial for Samsung Pay right now and they actually have moved up the launch of the Note 5, maybe August is a more likely timeframe for access to Pay on your Galaxy S6 and S6 Edge.